The Crescent Bay Conservation Easement contains a 0.6 acre upland waterfront parcel and the adjacent 6.8-acre tidelands along a popular stretch of Sitka’s urban coastline. Nestled between the Sitka National Historic Park and the Sitka Sound Science Center, this downtown beachfront is treasured for its coastal open space and outstanding views of Mt. Edgecumbe and the islands of Sitka Sound. Sitka visitors and community-members are often seen exploring its beach, reel fishing, or pausing to sit on one of its characteristic boulders. The adjacent tidelands contain rich “biobands” of intertidal eelgrass, rockweed, and soft brown kelps. The entire project was funded by the Alaska Department of Transportation and Public Facilities and the Federal Aviation Administration as mitigation for unavoidable impacts from the Sitka Airport Expansion Project. 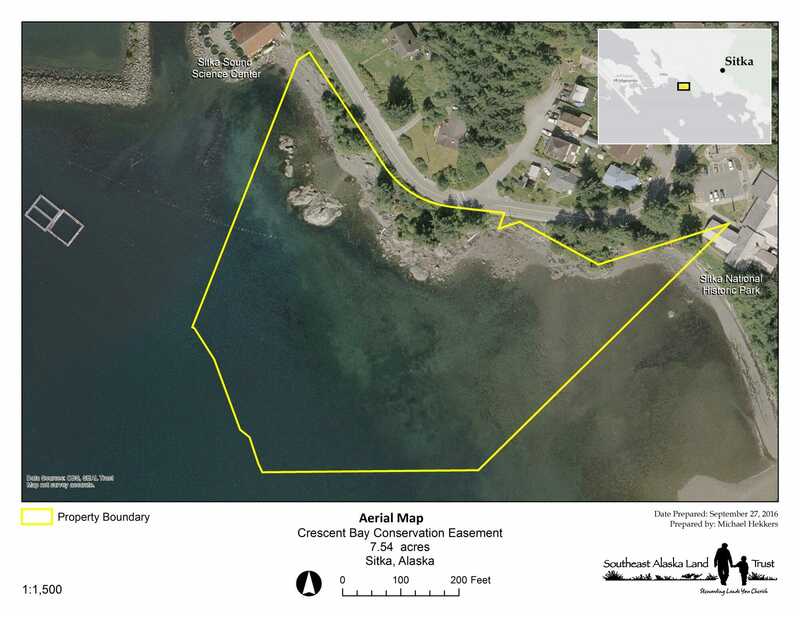 In 2010, SEAL Trust accepted the mitigation funds to purchase the coastal lot from Sheldon Jackson College and a conservation easement on the adjacent tidelands owned by the City and Borough of Sitka. The City now holds title to the lot and tidelands while the SEAL Trust holds a conservation easement on these lands. 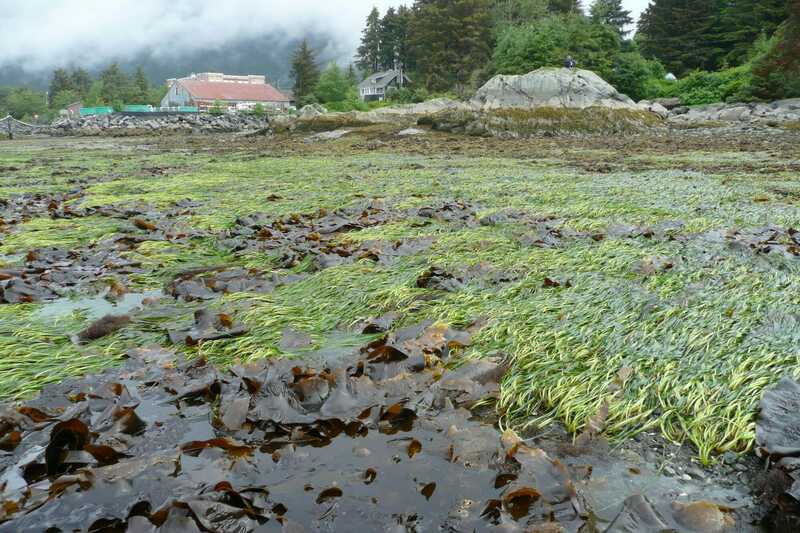 The Crescent Bay Mitigation Project ensures that this productive intertidal and scenic legacy will remain in place to be enjoyed by Sitka residents and visitors alike.